Schöppingen, 01.03.2018 - On 18 May, Shopware once again invites online retailers, agencies, technology providers, developers and eCommerce enthusiasts to look beyond their horizons and bring the unexplored into focus. Germany's leading shop system manufacturer is holding the eighth Shopware Community Day, which has now become one of the most unique events in eCommerce. Tickets for the Shopware Community Day are available now. It is being held for the first time at the Landschaftspark Duisburg-Nord, which offers space for more than 2,500 visitors and 40 exhibitors. To allow even more visitors to participate in the Community Day and accommodate the level of growth, Shopware has decided to relocate the event to Duisburg. Under this year's theme "Beyond Horizon", Shopware wants to work with the community to explore which technological, scientific and social trends will affect digital commerce in the future. "In an industry where technological advances are fast and disruptive, it's important to take a step back from the day-to-day and think outside the box. 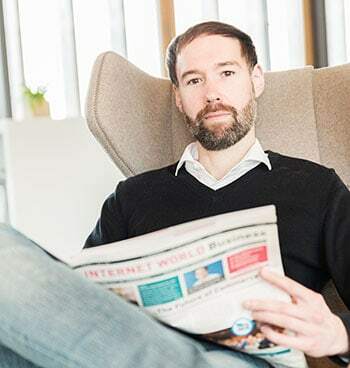 So, together with our community, we want to look critically at the technology that will shape the way we buy and sell online for the long term", says Shopware CEO Sebastian Hamann, explaining the theme. From the main stage to the four large session stages, numerous speakers will cover topics related to the Shopware ecosystem and beyond. In addition to Shopware founder and CEO Stefan Hamann, who will open the event with his eagerly awaited keynote speech, visitors will again be offered a well-rounded mix of topics from Shopware employees and experts as well as external speakers. "As in previous years, in 2018 we will also be welcoming speakers from a wide variety of fields. The speakers will be able to offer our visitors interesting insights from different perspectives and broaden their horizons", explains Hamann. Around 40 exhibitors will also provide visitors with comprehensive information about all relevant areas and processes of online retailing. After the informative programme, visitors can end the day in a relaxed atmosphere, meeting new contacts and strengthening existing ones with a cool drink and delicious food. For further information about the most extraordinary event in eCommerce, visit scd.shopware.com, where you can also buy tickets. As tickets for previous events have always sold out very quickly, Shopware recommends getting them early to avoid disappointment. Wiljo Krechting is an eCommerce expert and Manager Public Relations at the eCommerce platform provider Shopware. The media professional has a master’s degree in political science and journalism from the universities of Münster and Melbourne, where he gained experience as a foreign correspondent for the publisher Axel-Springer-Verlag. Krechting has worked as a journalist at Rheinische Post, WELT, BILD, Hamburger Abendblatt and the Australian business portal theaustralian.com.